Tulip skirts present a very stylish and classic skirt design. 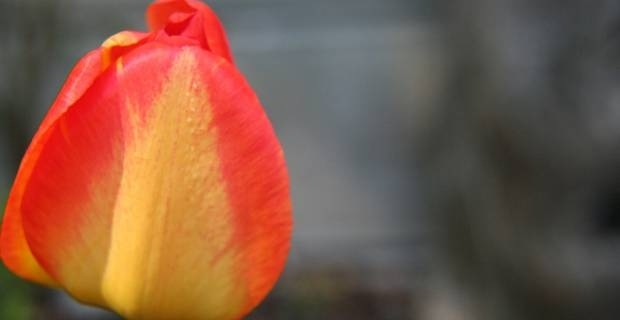 The skirts get their name from their shape, which resembles an inverted tulip. The skirt has a narrow waistline that cinches the body, extra fabric that bulks around the hips and buttocks and narrow, tapering hemline that hugs the legs. Women of varied shapes and sizes look good in these stylish skirts. Slender figures, in particular, tend to benefit from the wide hips look the skirts give. If you are wondering how to wear a tulip skirt, we have some recommendations that can help you pull off a gorgeous tulip skirt look no matter your body type. Tulip skirts look especially good on medium height to tall, thin builds, but the skirts’ design can also accommodate wide hips and buttocks. This makes them suitable even for women who are more build. Go for solid patterns on the tulip fabric to achieve a sophisticated, classic look. Stick with light material like satin, crepe and silk so your skirt is not bulky. Heavy materials like corduroy or wool tend to look and feel bulky when they flow over the hips and buttocks. Wear short-waisted tops to accentuate the narrow waistline look tulip skirts give. Try tops with rounded colours or no collars at all, which tend to look gorgeous with tulip skirts. Cropped shirts, jackets and sweaters also accentuate the narrow waistline look and go well with tulip skirts. Wear high heels with your tulip skirt. High heels add extra height and give a leggy look that offsets the hips. Match the colour of your heels with the colour of your tulip dress to achieve a beautiful, coordinated look. Add a little something extra to your overall look by hemming your tulip skirt above the knee. A hem above the knee makes your legs appear longer and gives an attractive, stylish balance to the hip area. However you wear your tulip skirt, make sure you not only look gorgeous in it, but also feel comfortable.